Shapoor Mistry of the Pallonji Mistry group is bringing in talent, expanding the role of the old guard and identifying new business ventures at the $2-billion group. The initiative is aimed at transforming the way the construction-to-home appliances conglomerate functions. The reclusive Irish-Parsi business tycoon, Pallonji Mistry, passed the baton of his 147-year-old business conglomerate on to elder son Shapoor Mistry in January this year after younger son Cyrus Mistry was chosen as the successor to Tata Group chairman Ratan Tata. Mistry’s father first bought shares in the Tata Sons in the 1930s, a stake that currently stands at 18.4%. The 47-year-old managing director of the SP Group has brought in former PwC director Jai Mavani as executive director in charge of M&A and family practice, signalling the group’s appetite for inorganic growth. Mavani, who will spearhead acquisitions for the group, sits on the apex decision-making body Group Centre, joining the ranks of other top executives such as Jimmy J Parakh and human resources head Vasant Sanzgiri, group head (strategy) Shankar Krishnan and financial controller Mahesh Tahilyani. Jimmy J Parakh, the man who worked closely with Pallonji Mistry during the formative years, has been given a larger role. He was recently inducted onto the board of group company Forbes, which was acquired from the Tatas in 2001. Parakh is an expert in turning around existing businesses and incubating new ventures. Forbes is getting into a slew of new businesses. Shapoor Mistry did not respond to an e-mail on the subject. 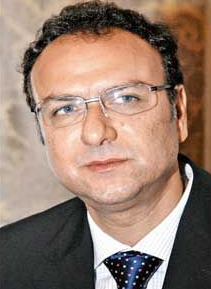 Shapoor Mistry, who built the real estate business from the scratch, is now preparing the group for diversification. The group is now mainly into construction, real estate, infrastructure, home appliances and electro-mechanical businesses. Gokak Textiles, which was carved out of erstwhile Forbes Gokak through a demerger process, plans to enter the energy business and also set up special economic zones. The Bangalore-based textiles company is looking to tap opportunities in generating electrical power through renewable sources and non-renewable sources of energy such as solar, wind, hydro, nuclear, atomic, thermal in India and abroad in addition to developing special economic zones and export promotion parks. The company has recently received shareholders’ approval to foray into newer businesses. Forbes Technosys, the company’s little known IT venture, is expanding operations. It is now focussing on producing payment kiosks and setting up payment transaction solutions. "Shapoor wants to focus on some new age business which will drive revenues in the long-term," said a person close to Forbes group. Forbes is also diversifying into floating production supply offloading business. It will provide vessels to oil majors like ONGC to extract oil from the sea-bed. Shapoor’s coming of age in the group coincides with the retirement plans of Pallonji Mistry. Though the elder Mistry continues as chairman of the group, he has reigned from boards of group companies such as Forbes. 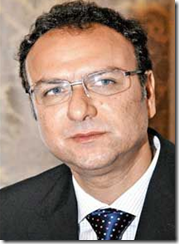 The directors and business heads of the construction to home appliances conglomerate reports to Shapoor Mistry.